Consumer staples are notoriously boring. They sit on the shelf for weeks, get used for an instant and stashed away ‘til next time. What a shame we pay so little attention. 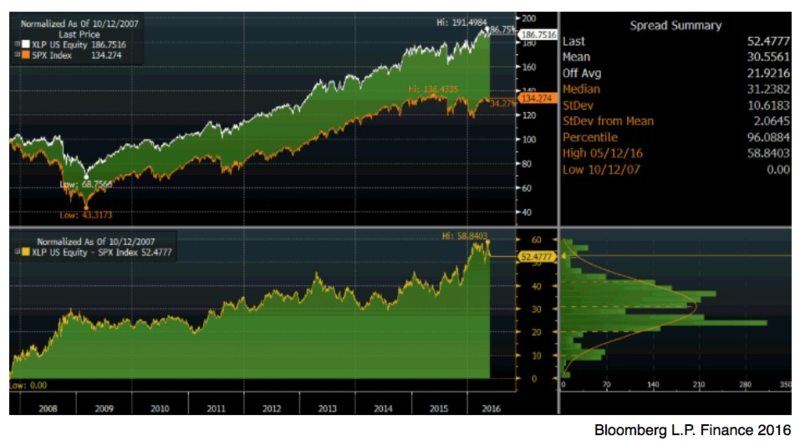 Consumer products companies have outperformed the S&P 500 Index by a 3 to 1 since 2007. From Boring to Best, consumer staples have constituted one the greatest stealth rallies of all time. First they held their ground when markets imploded, then their valuations soared as investors sought cash flow and dividends. Right on cue, PowerShares even dreamed up an exchange traded fund called the Consumer Staples Momentum Portfolio (PSL). Staples and momentum all rolled into one. 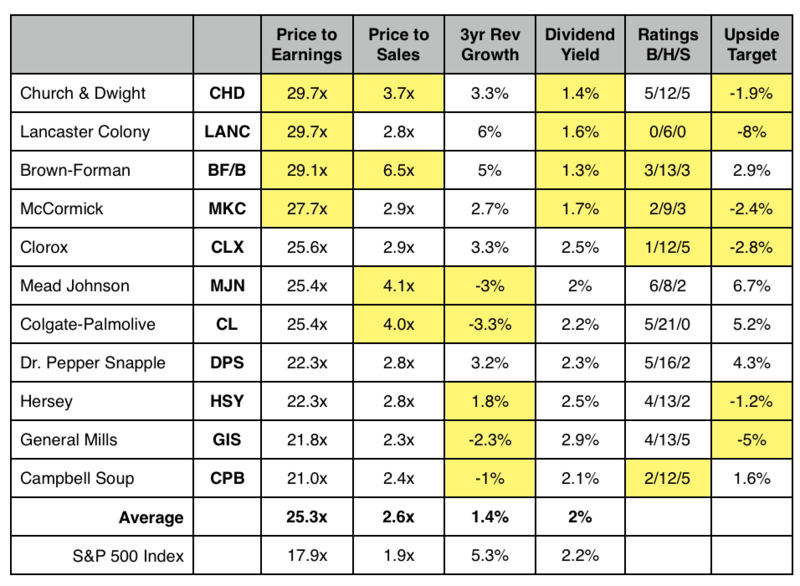 Staples’ outperformance has been epic, but may have run its course argues my friend Ryan Thibodeaux of Goodwood Capital Management in Baton Rouge. As the Fed normalizes rates, he reasons the sector’s dividends offer less appeal, especially at multiples which average 22.3 times earnings. Consumer staples trade at a 27% premium to the broader market, second highest among the 10 S&P Industry groups. The best way to appreciate how far Staples have come is the following graphical depiction courtesy of Bloomberg. At the top you can see the Consumer Staples Select SPDR Fund (XLP) and S&P 500 Index (SPX) performance expressed in percentage terms since the market’s pre-crisis high in 2007. They have risen 86% and 34% respectively. The panel below shows the spread between the two, which is currently at 52 percentage points (86 minus 34). To the side, you have the distribution of observations weekly since 2007. Note the current reading of 52 sits at the upper “tail” of the bell graph because it is such an extreme reading. At 2.06 standard deviations from the mean, the current gap ranks in the 96th percentile. Prior to the financial crisis, consumer staples rarely outperformed the broader market for extended periods, and especially by such magnitude. While they’ve had moments in the spotlight, like after the NASDAQ tech crash of 2002 and the sideways markets of the mid-90s, staples have taken a logical back seat to higher growth sectors. Their appeal has largely been as a safe haven during time of stress, cushioning portfolios with steady dividend income supported by predictable, if somewhat unglamorous businesses. Shout it from the rooftops: No more life support. With U.S. Personal Consumption and Core PCE Inflation both rising 2.1%, the patient can go home. With the U.S. 10-year Note yielding 1.9% and likely heading higher, dividend yields in the the 2s no longer make sense. Staples’ 9-year run, and current premium valuation has morphed from something to celebrate into a something to avoid. Yes, avoid. 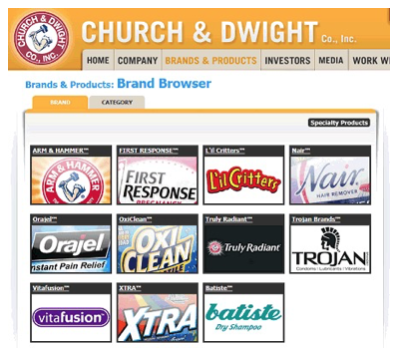 Church & Dwight owns a portfolio of well-known consumer brands and has achieved a cult-like status among analyst for its ability to grow successfully through acquisition. Recently however it has had to rely more on operational tweaks to generate earnings improvements, as prices for potential targets have inflated to the point of being uneconomic. Like the company’s own stock, which trades at 29.7 time earnings, even great brands become unattractive investments above a certain price. The following conversation between CEO Matt Farrell and Goldman Sachs analyst Jason English is particularly telling. It occurred May 12 on stage at the Goldman Global Staples Forum. While Jason is a long-term believer in management, he currently rates CHD a SELL. JE: So, it’s a question of diversification versus building on what you have. Can you comment on that, and then the M&A dialogue overall. MF: The short story on categories is that we are a serial acquirer. 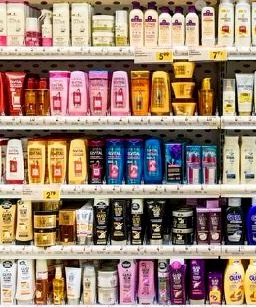 In the year 2000, we owned Arm & Hammer, today we have 10 brands that account for 80% of our revenues and profits. So, 9 of those 10 were acquired. The 10 brands today, we want to have 20 brands tomorrow, it’s just simple as that. JE: You’re focused on delivering long-term with M&A. Keeping pretty disciplined in what you buy, [transactions] have generally been modestly accretive and given your growth ramp going forward, it’s harder to do that with the multiples where they’re at today. 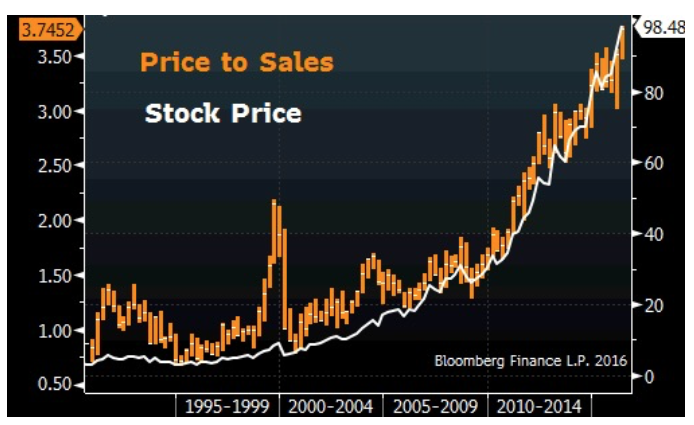 MF: The multiples are high to acquire things today. We’ve paid some big multiples in the past, but not more recently. Oxiclean was a 17x multiple. We’re focused on a synergized EBITDA multiple and whether we can we get that number down under 10x. So would you pay 15 times? Absolutely, but that’s trailing. So my question is can you count on cost synergies to get you down to where this makes economic sense. We look at a lot of deals, we haven’t done a larger one in four years. And that’s the whole point: One of the best operating CEOs in the business won’t commit capital. So why would you? 1. The fact Mr. Farrell would go on stage with an analyst who openly rates his company as a SELL is almost unthinkable, and yet there they sat side-by-side, even taking questions from the audience. They are the experts, and they are telling us their sector is overpriced. 2. Staples are attractive in uncertain times because their stable cash flow businesses support reliable dividend income, but at high multiples yield compresses by definition. The benchmark Consumer Staples ETF (XLP) yields just 2.0%, barely above the “risk free” rate on the U.S. 10-year and LESS than the yield of S&P 500 Index. 3. So not only is valuation unattractive, so is yield. 4. Finally, these companies grow very sloooooowly… historically 2-4% annually. So absent value and yield there is no compelling reason to own these names. As the stock prices of companies like Church & Dwight rise to new all-time highs, valuation metrics like Price to Sales (P/S) become similarly extended. The uptrend has been incredibly persistent, but equally contingent upon growth by acquisition, which is no longer happening. In addition, interest rate normalization by the Fed will create risk-free rates of return which provide viable competition for dividend paying stocks. As such, the consumer staples sector is ripe for correction, even well-run companies like Church & Dwight. Low-growth, low-yielding, high-priced stocks do not merit record valuations as the Fed tapers policies which fueled their gains in the first place. The data follows, and I have flagged in yellow specific metrics which cause alarm. Simply put, the more yellow the worse. I would NOT own them. To the contrary, they are excellent short candidates.. AGAIN, not simply because of valuation and low growth, but because normalized interest rates undermine the dividend thesis which has propelled them for several years. They are no longer safe haves, they are capital traps.